Driver error is to blame for most motor vehicle accidents, but vehicle defects can also contribute to crashes or cause direct harm to occupants. Recalls for faulty vehicles and defective vehicle parts are not always issued before innocent people are hurt or killed. If you believe a vehicle defect played a role in an accident or otherwise led to injuries, the Madison, Wisconsin, attorneys at Boller & Vaughan are here to help. Please call us today at 608-268-0268 to schedule your free consultation, or tell us your story online to get started now. Vehicle manufacturers and dealers have an obligation to sell products that are free of defects and reasonably safe when operated responsibly. Product liability is an area of law that allows consumers to seek damages when a defective vehicle or faulty vehicle part causes harm. Defective vehicles or defective vehicle components: Manufacturing defects in the vehicle or its corresponding parts contribute to an unreasonably dangerous vehicle. Design flaws: Faults inherent in a vehicle’s design make it unreasonably dangerous, even when manufactured correctly. Product liability cases involving motor vehicles can be especially complicated because multiple parties may be held accountable depending on the source of the defect, whether a recall had been issued, and whether defects related to a recall were repaired properly. 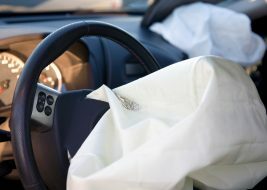 Faulty airbags are among the most common motor vehicle defects. Design flaws may relate to features that make a vehicle prone to rollover, cause doors to open while the vehicle is in motion, affect a vehicle frame’s ability to absorb impact, or create other hazards. Since the National Highway Traffic Safety Administration (NHTSA) was granted oversight of vehicle safety standards in 1966, the agency has initiated the recall of hundreds of millions of cars, trucks, motorcycles, buses and recreational vehicles due to safety-related defects. Some recalls aren’t issued until innocent people have been hurt or killed. In many cases, vehicle defects are caught before they cause harm. The manufacturer will issue a notice recalling the vehicle or the faulty equipment, and owners bring their vehicles to a dealership for repair or replacement. In some states, manufacturers and dealerships are required to notify vehicle owners about recalls. 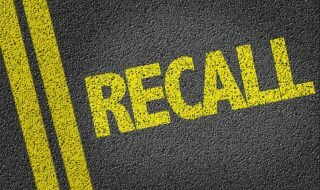 But not every car owner gets a recall notice, and not every dealership manages related recalls effectively. Unfortunately, some recalls aren’t issued until the defects have led to injuries or deaths. Vehicles purchased outside of the state are not covered under the law. If you’re involved in an accident that involves personal injury and a potentially defective vehicle under Wisconsin’s Lemon Law, it’s a good idea to discuss your situation with a knowledgeable attorney. The Madison injury lawyers at Boller & Vaughan offer free consultations to help you understand your legal options. Motor vehicle manufacturers sometimes deny defects exist, even when those flaws contribute to property damage, injuries and death. With more than 40 years of experience, the attorneys at Boller & Vaughan are committed to providing aggressive, compassionate legal services to individuals and families suffering from personal injuries, including those that result from vehicle defects. We have the knowledge, resources and courtroom skills to stand up to dealerships and manufacturers on your behalf. Call 608-268-0268 to schedule a free consultation, or tell us about the accident online to get started now. We welcome clients from the greater Madison area and across Wisconsin.